Happy New Year! 2016 is already revealing itself to be an exciting year for Coast Redwood HS and our Charter community. With the first semester wrapping up before our Winter Break, students have returned with a renewed energy and commitment to starting strong in the new year. We are already looking toward Course Requests for 2016-17, and our informational mandatory Meeting of the Tribes on Friday, January 15th starting at 10:00am. The cast and crew of the SLV HS student musical Crazy for You have begun rehearsals for their early March production in the Performing Arts Center. The Winter Sports teams are in full league action. Our charter students who are playing on the basketball, soccer and wrestling teams are putting in many hours and playing with heart. Go Charter! Where should you go at 10:00 am? We will be honoring Kay Mendoza with a check and shout-out for being nominated as our Modern Woodmen Hometown Hero! This recognition is to honor Kay and her dream of 10 years of re-installing benches at the outdoor amphitheater for all tr-campus students, as well as for seating at our annual Coast Redwood High School graduations. Lots of photo ops for the yearbook class, and if you wish to bake treats, please do! We have hungry teenagers! Pizza will be sold (12:30 after the award ceremony) as a fundraising event as part of this year’s youth club’s 7777-1 Matching Funds Event. A special thank you to the Charter Boosters for matching funds in order to move the bench installation closer to reality! REMINDER 1: the HS Library is Open from 7AM to 5PM everyday. It is a great place to study, collaborate in group projects, use the computers, write essays, conduct research or curl up with a new book. Refer to page 3 of this document for the complete list of our student learning outcomes. Be sure to integrate several of the outcomes into your autobiographical incident benchmark essay. Planner sheets must be filled in daily with 4+ hours each day of academic activities and assignment/project completions. These onsite classes (English, World History, US History, Spanish 1 & 2, Work Experience (WEE), Biology and Environmental Horticulture class & labs), are temporally canceled and students return to the classroom on Tuesday, January 19. It is critical that students work through these two weeks and complete all assignments. Month 5 attendance dates: 12/14 through 1/ 22/16 and your teens' assignments must be included in their Month 5 work samples. COSMOS is a four-week residential summer program for students who excel in the areas of science, technology, engineering and mathematics (STEM) and who would like to expand their knowledge by studying with University of California faculty and researchers while living on a UC campus for a month in the summer at one of the four UC campuses where the program takes place - Davis, Santa Cruz, Irvine and San Diego. If you are unfamiliar with COSMOS (The California State Summer School for Mathematics and Science), you can view details of the program, previous courses offered and weekly summaries written by students and teachers at cosmos.ucsc.edu. There will be a presentation about the program given by Sierra Schneider Wednesday, 1/13, at lunch in Room B-3 at SLVHS. This group will be held on Tuesdays, and focus on the issues important to YOU! Not sure, but you still want to check it out? Jenn is also available to our Charter students by appointment. Required Steps to Participate in Running Start! MUST be Completed by April 15, 2016! Cabrillo College is excited to offer an open entry/open exit Physical Education class for students starting in January 2016! Students enroll in KIN 22L-Strength Training or KIN 24L-Lifetime Fitness. Once enrolled, students will have access to the state-of-the-art Cabrillo Wellness Education Center during open business hours. Students will log in & out each time they work out and receive transferable physical education units. Students may enroll in the one unit classes up until the 12th week of the semester. Students may register for 1.5-3 unit sections up until the 5th week of the semester. Cabrillo's new Concurrent Enrollment Form is now available on our website! The old form will still be accepted but please do NOT fill out section numbers unless you are using them to restrict the student's hours of attendance at Cabrillo. If section numbers are listed on the form those will be the only sections the student will be able to register for. In general we will be approving the student at the course level so that they can register in any available section through WebAdvisor on or after their priority date and time. This will also allow them to add/drop sections of approved courses through WebAdvisor. Another change is that, since we are not actually registering the student, the student does not have to be present for us to process the form. Someone else can now bring the form to Admissions and Records for the student, we will process it at the window and return it to the person who brought it in. Forms may also be emailed to webreg@cabrillo.edu with the subject "Concurrent Registration" and will be processed within two working days. We can not accept faxes since we need the ability to respond to the student if the form is incomplete, or we have not received their current semester application to the college. If there is a problem we will respond to emails via the email address from which the form was received. Please note that parent/guardian signatures are required for ALL high school students, even those age 18 and over. In celebrating wins, huge congratulations go out to the Girls Varsity Water Polo Team for earning 1st place in League and an impressive 12-0 season! These student-athletes are fierce in the pool and represent teamwork in so many ways. Congratulations to Coach Wally Brondstatter and Sara Cooper for their leadership. CRHS athletes: Dahlela Hennig, Ruth Miller, and Mikaela Tyree - Way to go ladies!! Another celebration for the GIRLS CROSS COUNTRY TEAM - 3rd Place! CRHS athletes: Nicole Roth - Way to go ladies! Our first Meeting of The Tribes brought our students together for the first time since orientation 6 weeks ago. We heard lots of laughter and reacquainting with one another on Friday. The staff values these opportunities for our students to get together. As home schoolers, not everyone is enrolled in classes. In this case, besides all-charter educational outings, many students may feel disconnected from their peers. Our "Tribal" meetings are valuable links to parent education, important messages to students, 2nd quarter writing benchmarks, progress reports, power school trouble shooting as well as, a forum for asking questions about college, career and technical schools, applications, etc. This is also our time to connect with ALL students. 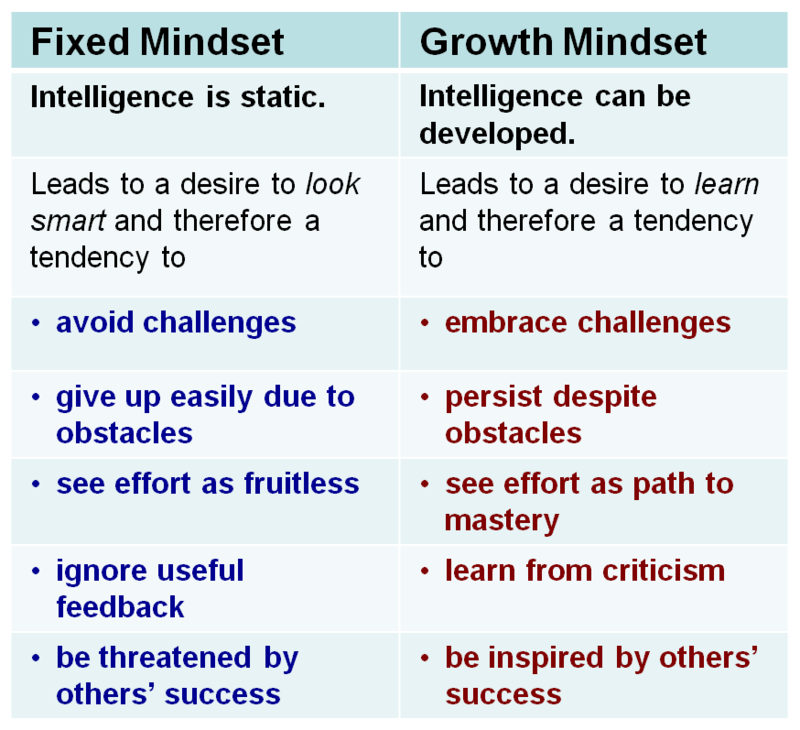 This year our emphasis is on MindSet. At orientation, Brian gave a brief introduction of the roll of mind and body, and we are continuing that thread through exploring MindSet and the brain. The next mandatory Tribal Meeting will be held in January and again in March. A HUGE THANK YOU to our local Renee's Garden for this extremely generous donation of seeds! We are so very grateful!! Please check out www.reneesgarden.com and support this awesome local business!! Charter Community Seed Exchange details coming soon. This is a great year for your student(s) to get serious about colleges and careers that might be good fits for them down the road. Family vacations should include college visits if possible. College campuses are some of the most beautiful places to visit and the evidence clearly supports that students who visit college campuses are much more likely to attend. Another way to get information about colleges is to attend informational booths set up at lunch time on the SLV High School central lawn area. Colleges showcase many of their own career prep programs such as culinary, law enforcement and fire training. This is one stop shopping at its best. The PassAssured’s Pharmacy Technicial Training Program is designed to completely prepare an individual to pass either national exam (PTCB or ExCPT). PassAssured’s PTTP is web based and can be instituted as one semester senior level certification preparatory class or it can be expanded to two semesters. Immediately after graduation, the student would be eligible to sit for the national exam! PassAssured’s PTTP is $299.00/student/year. The PTTP offers, upon successful completion, a certificate of completion. The certificate as well as the appropriate paperwork to forward to the CA State Board of Pharmacy is an additional fee of $40.00 for a total price of $339.00. Please refer to the web site www.passassured.com for a product demo. You may also call toll free at 866-778-7277 during business hours (8am-5pm, CST, Monday through Friday). Scholarships EQUALS Money for College New Scholarship Listing is now available in the SLV High School Counseling Office. Ask for Jeannette. Criteria: The Hamilton Award recognizes high school juniors for their academic, personal and service achievements. Every year, we select 35 to 40 students nationally to enter our leadership program. Through the Hamilton Leaders Academy, we help our Scholars get into college, a transition to university life and then the workforce. Please visit their website http://hamiltonscholars.org/the-program/faqs/. Consider participating in the San Lorenzo Valley Rotary Speech Contest. RI President K.R. “Ravi” Ravindran chose “Be a Gift to the World“ as his theme for 2015-2016. President Ravindran is urging club members to “Be a Gift to the World” by continuing our fight against polio, and increasing club membership. "Be a Gift to the World” is more than our theme. It is how we make a difference — every day, in every club, and every country we serve.